My first cataract surgery on Wednesday, June 26th was successful and we headed back up to the cottage near Rose City on Thursday. 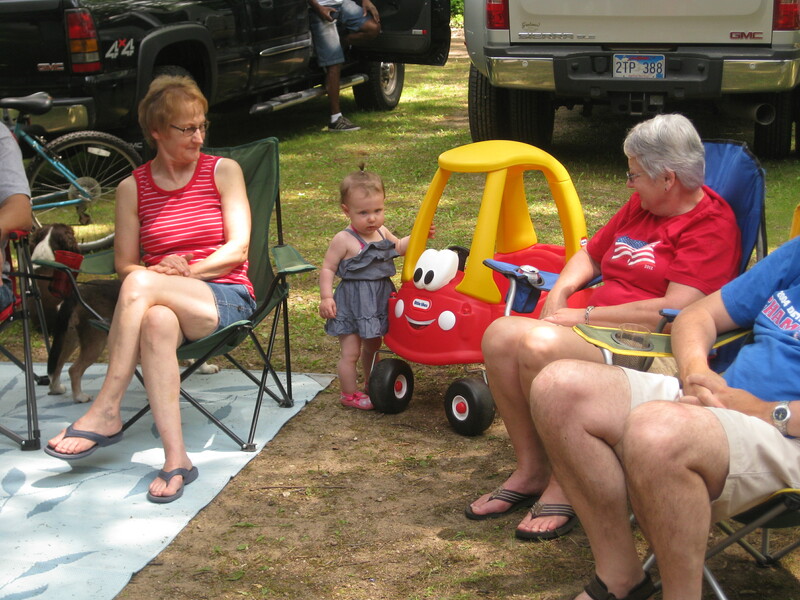 Pat’s sister (Mary Lee) and her husband (Welton) from Milwaukee arrived later that afternoon with their fifth wheel trailer, so then we had a fifth wheel trailer in the front yard and another in front of the garage. 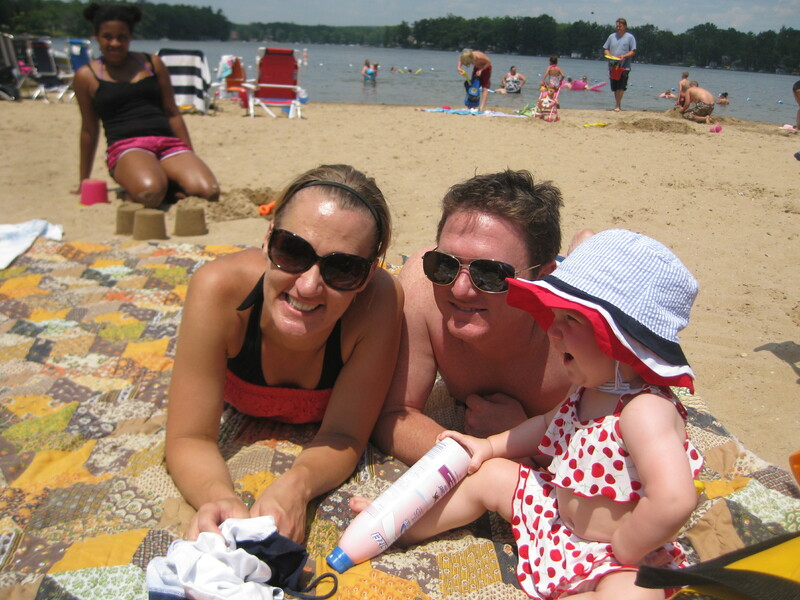 Mary Lee and Welton were hosting the kids of our niece, Robin from Florida, for the summer. Destiny (12) and Jeremiah (6) were a welcome addition to the gathering and were just great fun to have around. Destiny had visited last summer, but this was Jeremiah’s first time and he was really excited. 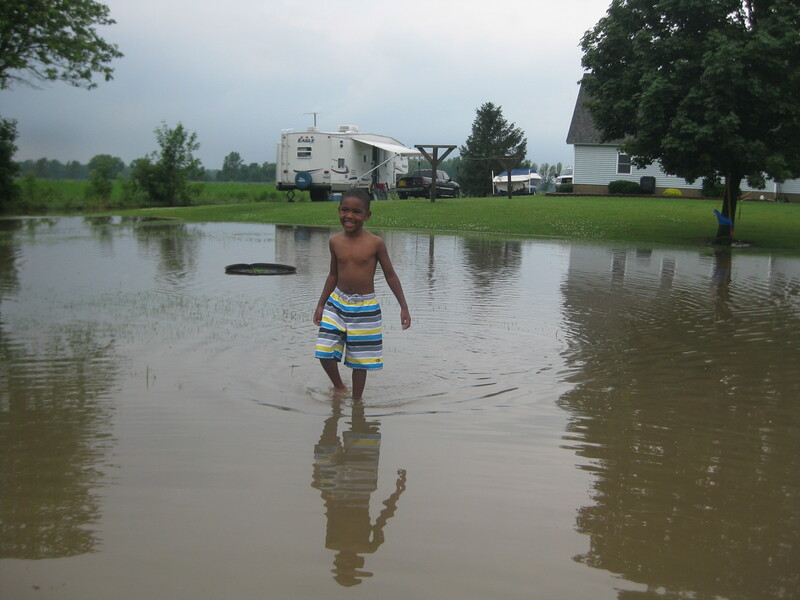 Friday we had a BIG rainstorm that lasted a LONG time, quite a way to start a holiday week! Fortunately we had beautiful weather for the rest of the week. Friday night, the rest of the family started arriving. By Tuesday we were in full force with four families plus children. The week at the cottage was our big annual get together and everyone pitched in to have a lot of fun. We took turns cooking and spent a lot of time at the beach, kayaking/canoeing on Rifle Lake, and boating on Wayne’s pontoon boat. Geri’s homemade french fries and Welton’s ribs were hits with everyone. It’s a sure thing that no one goes hungry this week as there is more food than anyone should eat, but we enjoyed every bite. Wednesday, I drove back to Bad Axe for a follow up visit from my surgery – everything was good, one more eye to go! It was really strange walking around with good distance vision in one eye and good near vision in the other. I popped one lens out of my glasses and that helped, but I was looking forward to having the whole thing done. Many of the family went to Rose City for the July 4th fireworks show. Rose City may be a small community, but they put on a fireworks show that would rival any large city in the state. Last year Michigan passed a law allowing larger and aerial fireworks, and it was apparent that several families around Rifle Lake had taken advantage of it to produce their own fireworks shows, the booming lasted well into the night. Sunday we left the cottage to return to Geri’s place in Bad Axe. 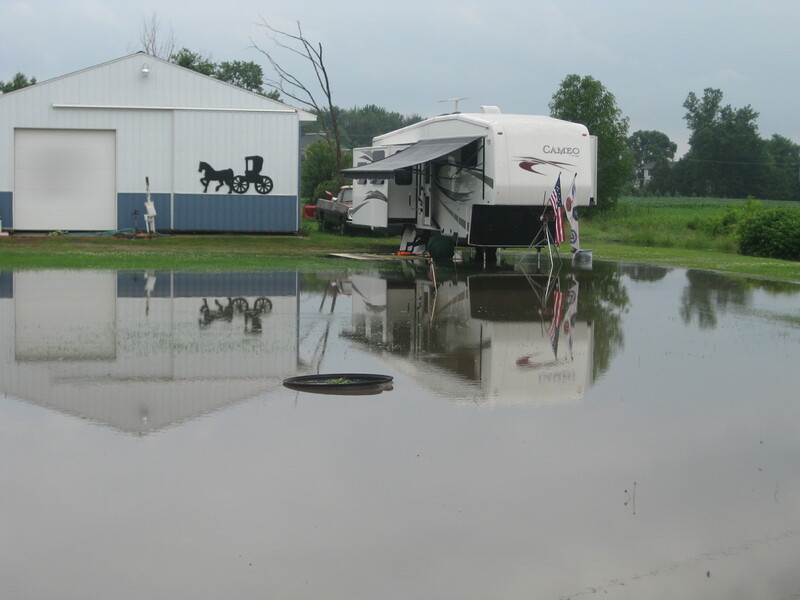 In Bad Axe it had rained through the night and into the morning with approximately four inches of rain. Geri’s three acre back yard had a one acre lake in the middle. Welton and Mary Lee joined us there, camping in the backyard. Jeremiah thought it was great to see Geri’s horse, Copper, and the other animals. Geri works the family farm in addition to his fulltime job and the kids got a chance to ride the farm equipment, see the barn and pick raspberries in the garden. It’s a great experience for two kids that live in an urban setting in Florida. 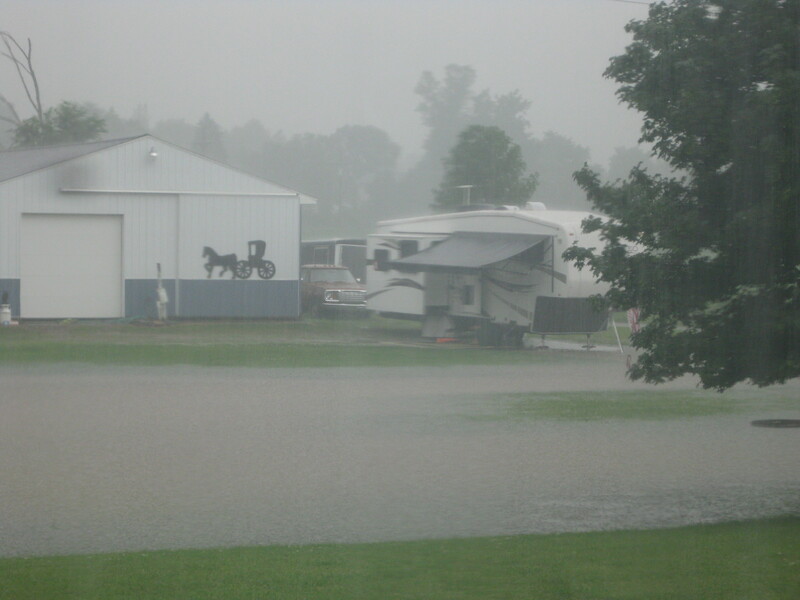 Monday brought another two-three inches of rain and the lake got bigger. Geri jokingly told us that lakefront campsites cost more than the normal ones. Wednesday was my appointment for the second surgery, so we said our goodbyes to Welton, Mary Lee and the kids, as they were gone by the time we returned from the hospital. The second surgery went fine and I was relieved to have them both done. Now my old glasses were worthless, I could see fine at long distance, but not well at all up close. I bought a pair of reading glasses, but they are a hassle too. 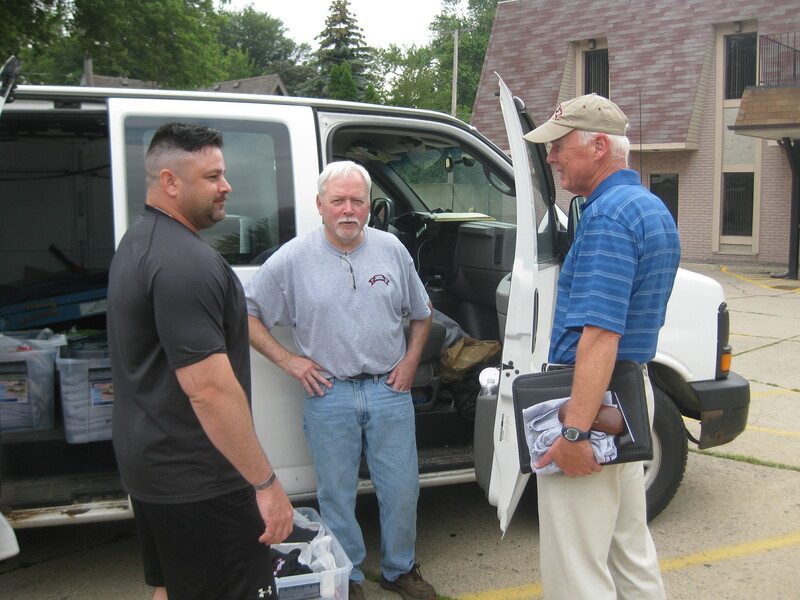 The last weekend we were in Bad Axe was a busy one. One of Marcia’s nieces was getting married and they opened their house to several of the other families attending from out of town. Pat and Marcia were busy serving breakfast to so many guests. 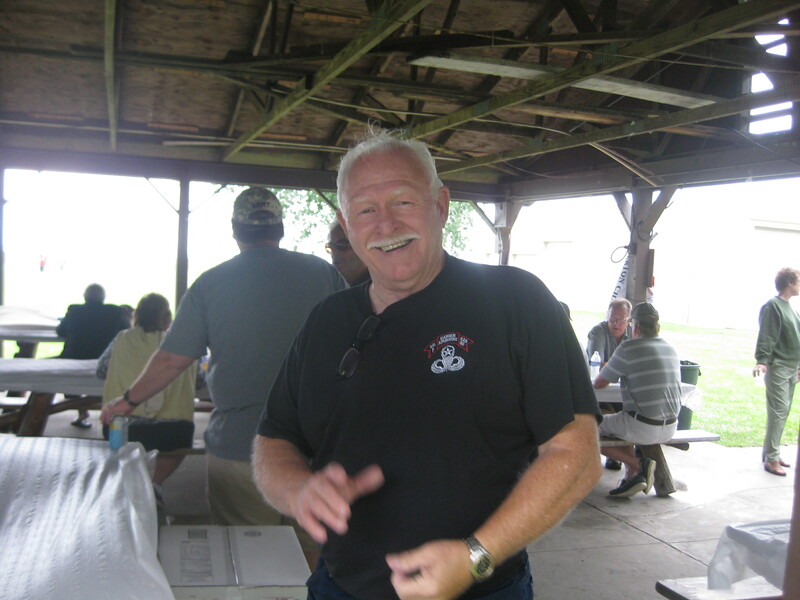 I drove down to St. Clair Shores for the annual 425th Regiment Association picnic. 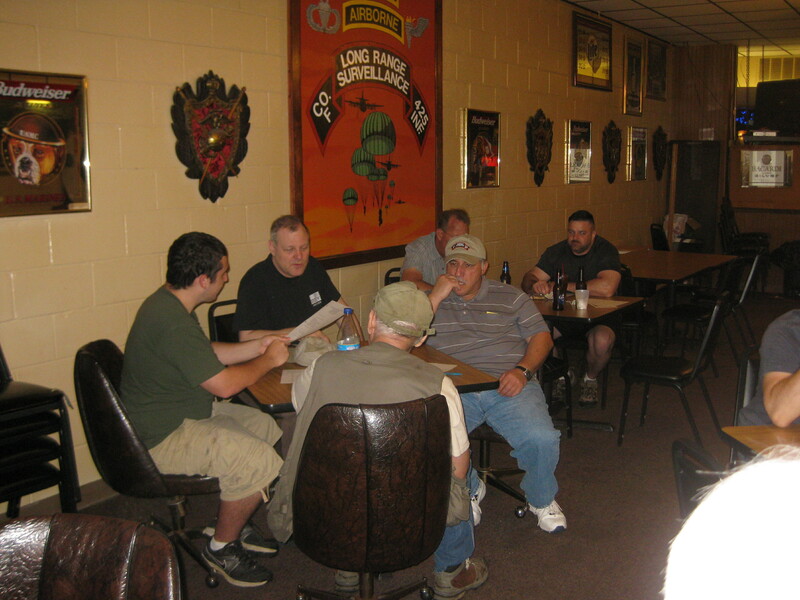 This was in conjunction with the 82nd Airborne Association and was a good time for catching up with old comrades in arms and seeing who could exaggerate their old stories the most. Tuesday I saw my ophthalmologist for the last time and received a clean bill of health and we packed up the next morning to head down to Lansing. This entry was posted in Fulltime RV, Michigan, Michigan Traveler, National Guard and tagged 425th Infantry, Bad Axe, fifth wheel trailer, Fourth of July, full-time RV, fulltime RV, Rifle Lake, Rose City, RV Forums. Bookmark the permalink. CHUCK AND RAE FRANKE LOVE TO HEAR FROM YOU WE ARE ENJOYING THE GRAND RIVER RIGHT NEXT TO OUR HOME THERE ARE LOTS OF FISHERMEN THAT FLY BY US AND WE HAVE BEEN OUT THERE IN OUR PONTOON MINY TIMES THIS SUMMER!!!! Glad you guys are having a great time. We are really enjoying this lifestyle!